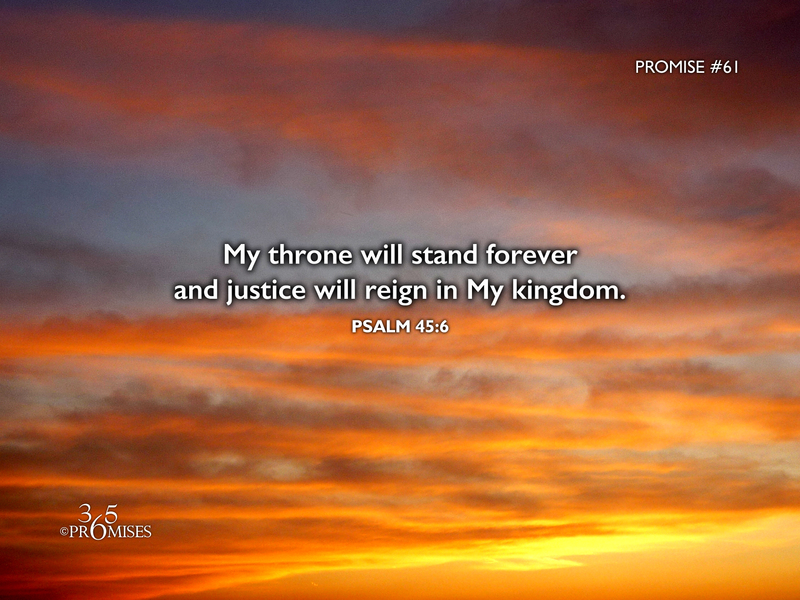 While evidence of injustice is all around us in the world that we live in, justice reigns in the kingdom of our God. We have the assurance that His throne will last forever. This means that the injustice that we see and experience around us is only short term. The Apostle Paul encourages us to fix our eyes on the unseen, not on that which is seen (2 Corinthians 4:18). He tells us that we need to keep focused on the eternal, not on the things around us that are temporary. In the midst of a fallen world, it is comforting to be reminded of the things that will truly last forever. Our God and our Father is on the throne. He is a good God and His mercy will endure forever! May we continue to be reminded of what is eternal and be comforted in knowing that justice will reign in the kingdom of our God and Father...forever!